- Free-to-play massively multiplayer online game. 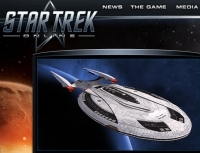 - Play as the Federation or Klingons. - Also interact with Borg, Romulans, Cardassians, Dominion, Undine and Tholians.